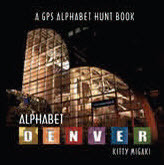 CIPA Member, author, photographer and publisher, Kitty Migaki’s book Alphabet Denver continues to receive attention. The latest coming from the Denver Post that ran an article in the December 15, 2011 newspaper. The article ran in the print version with a 3/4 page story that included 6 photographs. A link to the online article, which is shorter, but nonetheless just as exciting can be seen HERE.